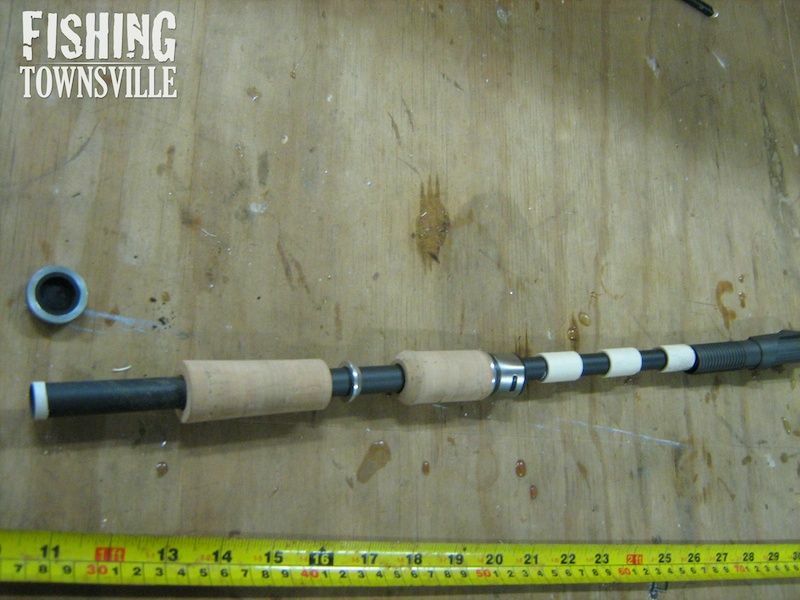 Aaron McKell of ACM Custom Rods is currently putting together nice light custom made 20lb spin rod for me. I have known Aaron since he worked at Pro Tackle on Charters Towers Rd some 10+ years ago. 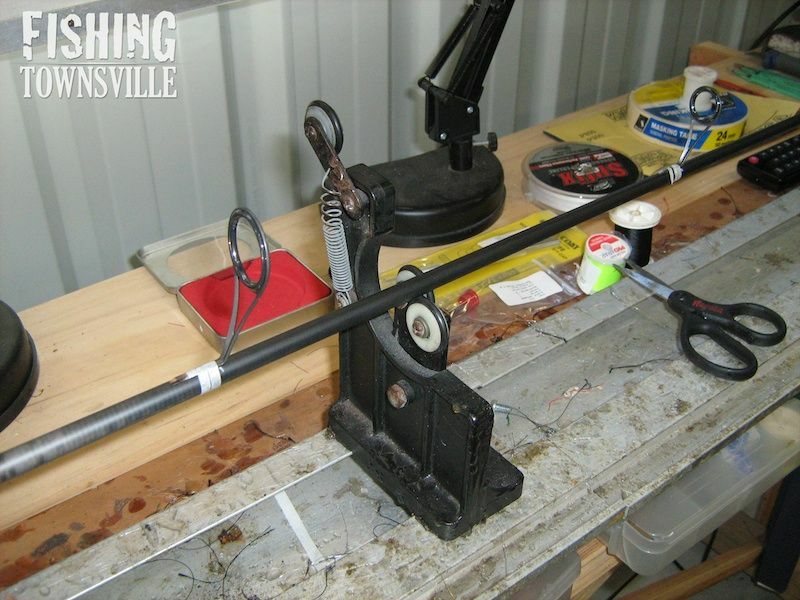 Back then he made me a pair of overhead blue water rods for me that I had a couple of Calcutta 700’s on. 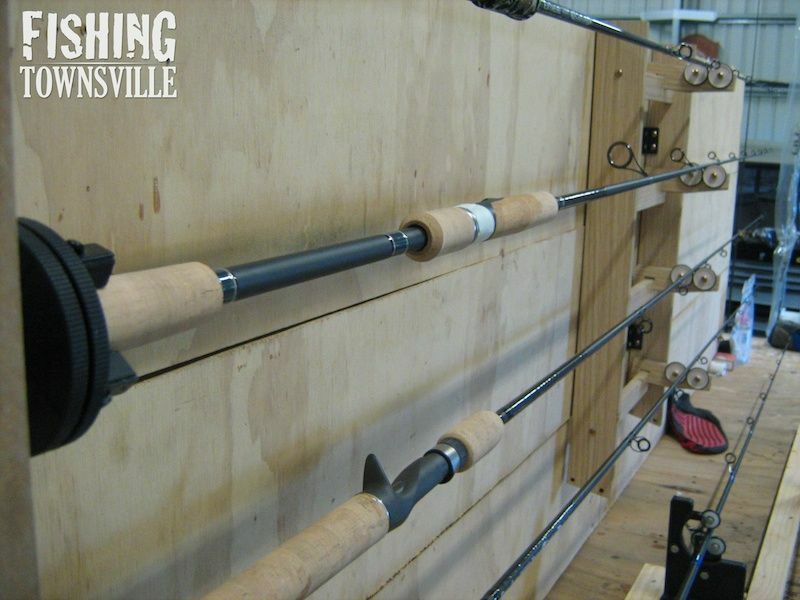 These rods are exceptionally built, and are still in use with a pair of Torium 16’s running 50lb Power Pro. 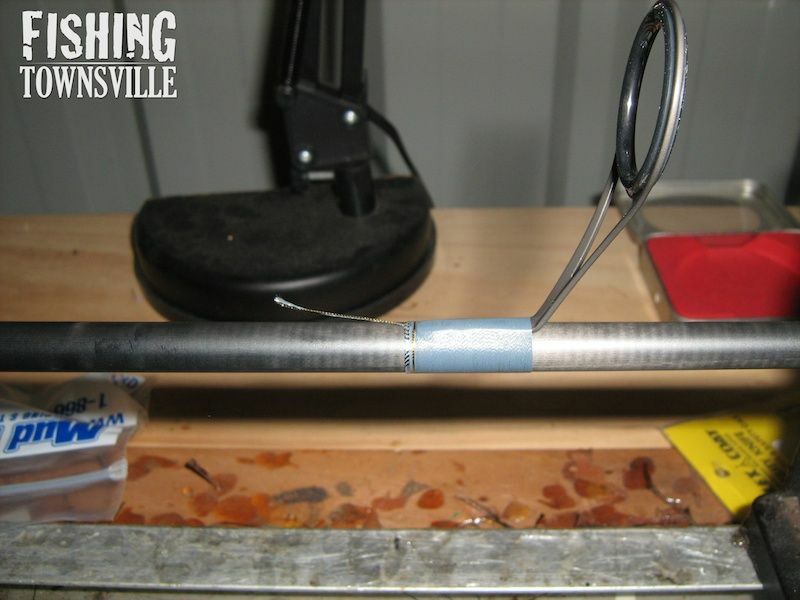 Since his time at Pro Tackle, Aaron has branched out and started his own rod building business. 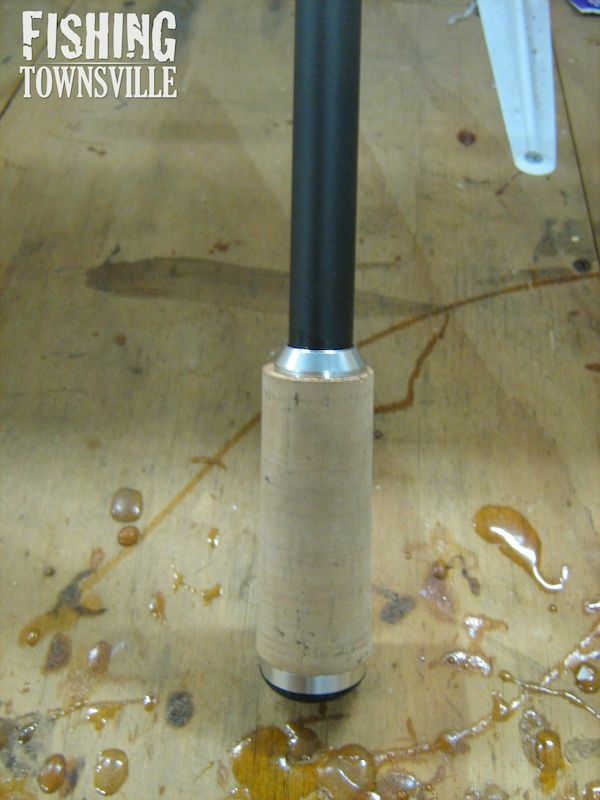 ACM Custom Rods was established in 2009. 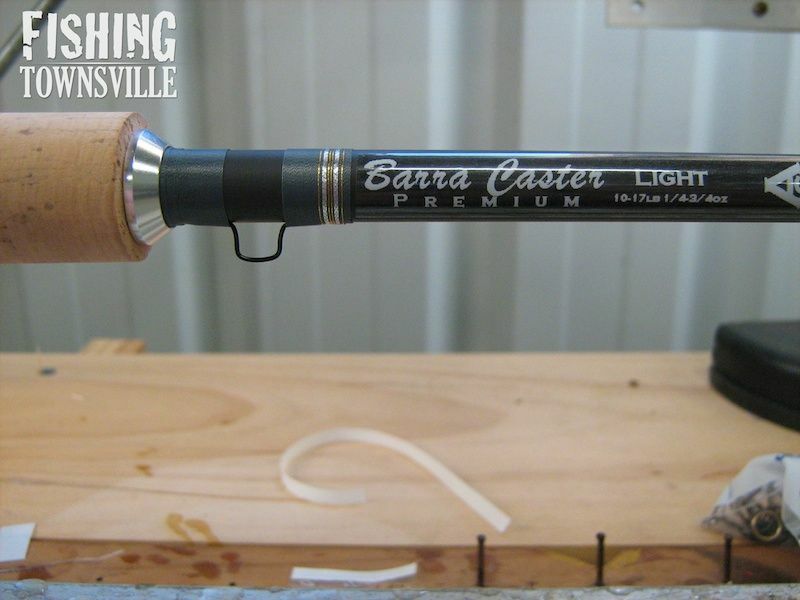 Aaron has grown the business considerably since then, and is building a strong reputation for excellent quality custom lure casting rods. 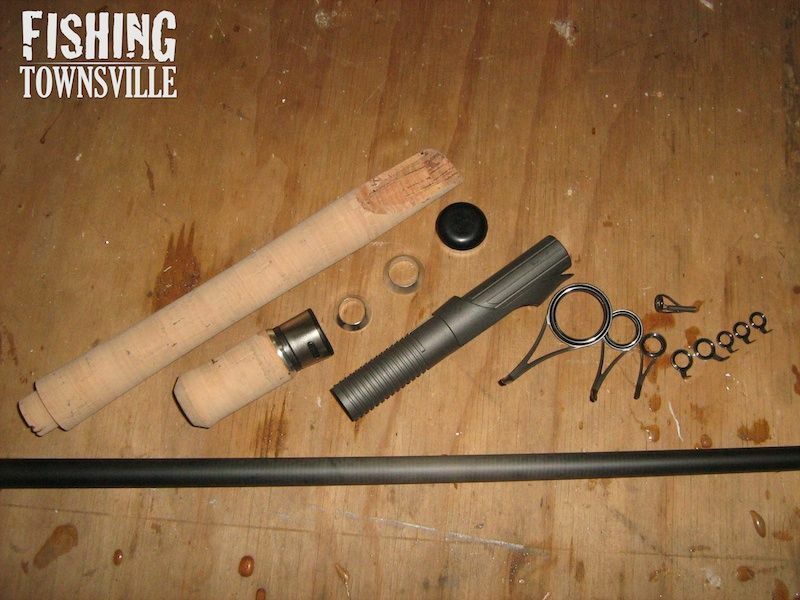 I approached Aaron a few weeks ago about building a rod to replace my 7 foot GL2 Loomis. This Loomis is over 10 years old, but I quite liked it! The cork is now badly damaged from rolling around in the rocket launcher of the old boat, so time for retirement. 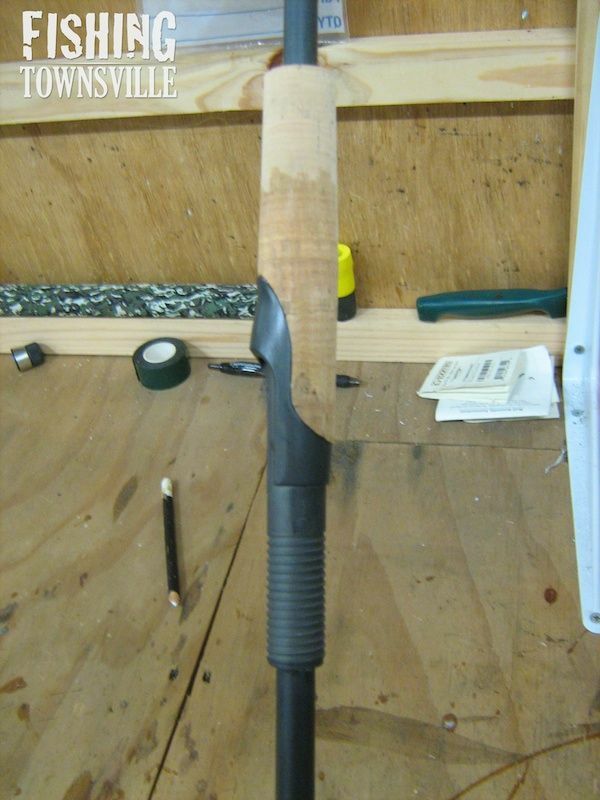 We discussed stripping the Loomis back to the blank and re-building, but quite frankly the cost difference to a new rod was going to be negligible. So on his next visit to Townsville Aaron brought some blanks for me to look at. We decided on a 10-17lb 43 million modulus blank. 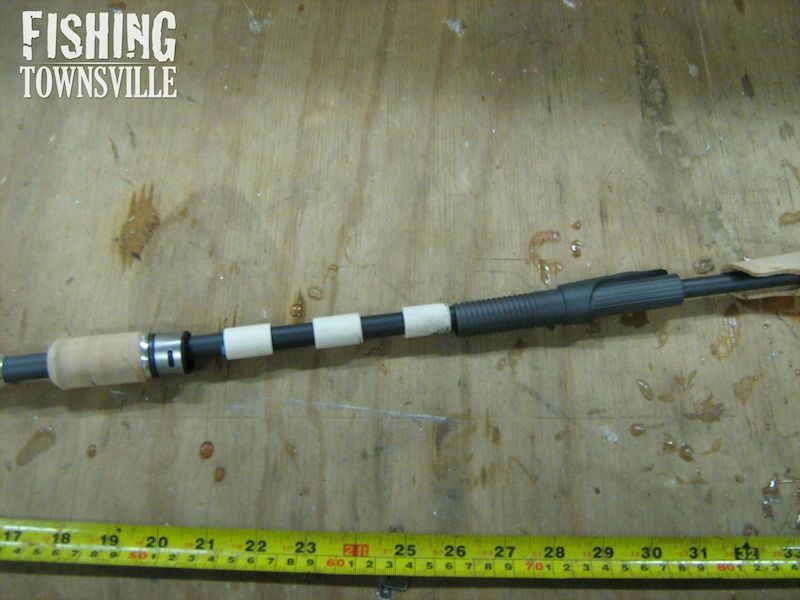 This will have a split cork grip, Fuji VSS reel seat and Fuji SIC guides. When finished it will be a total of 7 feet long and paired up with my Shimano Sustain 4000fe. The Sustain will be loaded with 20lb Power Pro, and the whole setup used mainly to fish soft plastic vibes for Barramundi and Fingermark. But I will probably still throw the odd metal slug to a Tuna or chase a Spanish Mackerel or two on high speed. Aaron has now started the build, and today he sent me through a few pics. 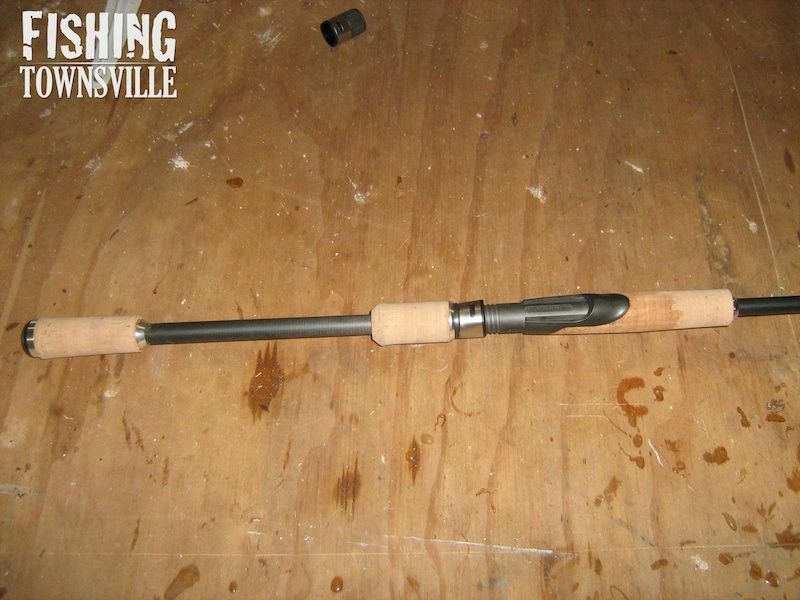 So here are a few progress build photos of the rod. I will put more up when its finished.